One of the first orders of business of the fourth consecutive Democrat Mayor of Shreveport is, you may have guessed it, a new tax. 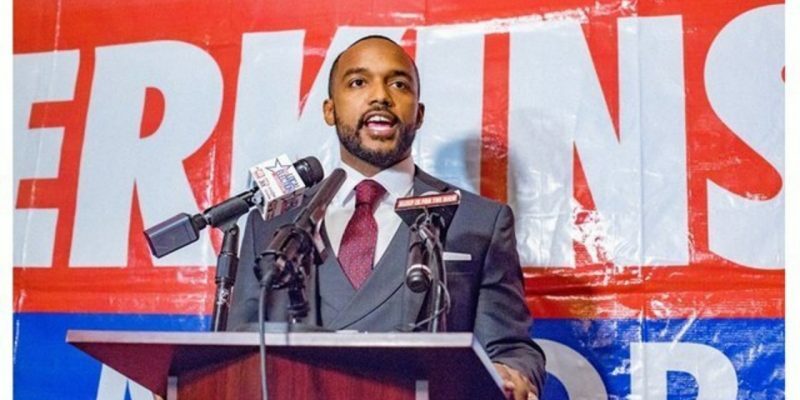 On the campaign trail, Mayor Adrian Perkins, 32, echoed fellow candidates who said that there is enough waste in the budget to avoid any new fees. However, just weeks into his term, Perkins is calling for a brand new tax in the form of a “sanitation fee” or “clean city fee”. Let’s just call it what it is, a trash tax. For those who were paying close attention during the campaign, the phrase “increase revenue” may have been a red flag. In an interview with 710 KEEL, then-candidate Perkins and others were asked if they “would sign a ‘no new taxes’ pledge” to which all but one candidate seemed hesitant to simply say “yes”. One problem for Perkins is that many residents live on a fixed income and do not have a spare $18 per month or $216 per year. Assuming they do makes him appear out of touch while proceeding after being made aware will make him appear uncaring. Another problem is that a large percentage of the voters who put Perkins in office were Republicans who had enough of his predecessor Ollie Tyler. Committing the “mortal sin” of creating a new tax is sure to shake the faith of a portion of this important coalition that many believe turned in his favor at the last minute. In the mayor’s defense, the eighteen dollar proposal is less than most other cities of similar size and the waste department recently made headlines for late trash pickups across the city. The fate of the trash tax will rest with the city council sometime next month but with two newly-elected Republicans voicing their support, it looks like Shreveport will have a new tax. Unless Mr. Perkins has other plans for 2022, he should tread carefully, listen to his constituents, and find ways to utilize existing resources without additional taxes or fees being levied on an already over-taxed population. Next Article BAYHAM: Commissioner Goodell, Deal Or No Deal?